The ambush begins on Blu-ray(TM) Combo and DVD on November 6th. BEVERLY HILLS, CA - On November 6th the forecast predicts a downpour of bullets and a thunderstorm of fists moving in with Anchor Bay Films' voracious action/thriller Maximum Conviction . 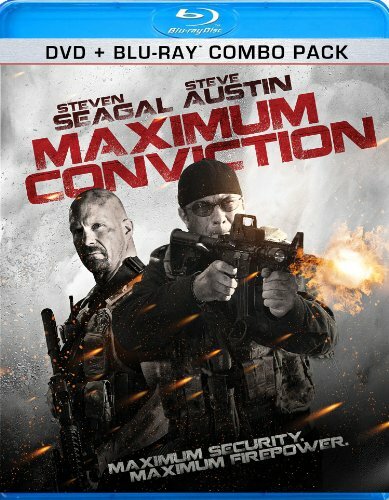 Starring the stellar action duo of martial arts action film guru Steven Seagal (Under Siege, Above the Law, Into the Sun) and Steve Austin (The Expendables, Hunt to Kill), Maximum Conviction comes to Blu-ray(TM)/DVD Combo Pack for an SRP of $34.99 and DVD for an SRP of $26.98. Pre-book is October 10th. Also starring Michael Pare (The Virgin Suicides, The Philadelphia Experiment), Aliya O'Brien (Kill Switch, Bringing Ashley Home) and Bren Foster ("Days of Our Lives," Drowning), Maximum Conviction is a relentless thrill ride that lets the shell casings fall as they may.